Home › Uncategorized › Role Model or Stereotype —Which Are You? Role Model or Stereotype —Which Are You? Even before economic conditions resulted in drastic cuts to school library programs, if you worked in an elementary or middle school you were likely to be the only librarian. Now it is true in many high schools as well. While managing all the many responsibilities you have—and these have increased in most places—you probably have not stopped to consider how you are being perceived by your stakeholders. 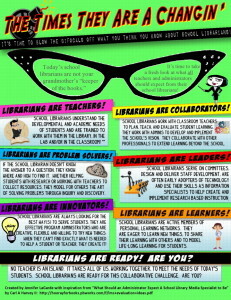 Some of the new stereotypes are: rule-driven librarians, feeling such pressure they focus on keeping the library under control, librarians who are too busy with their job to participate in school-wide events and celebrations, and school librarians who see no library connection to Common Core and other teacher concerns. You can probably come up with more. The damage done by these stereotypes is enormous. 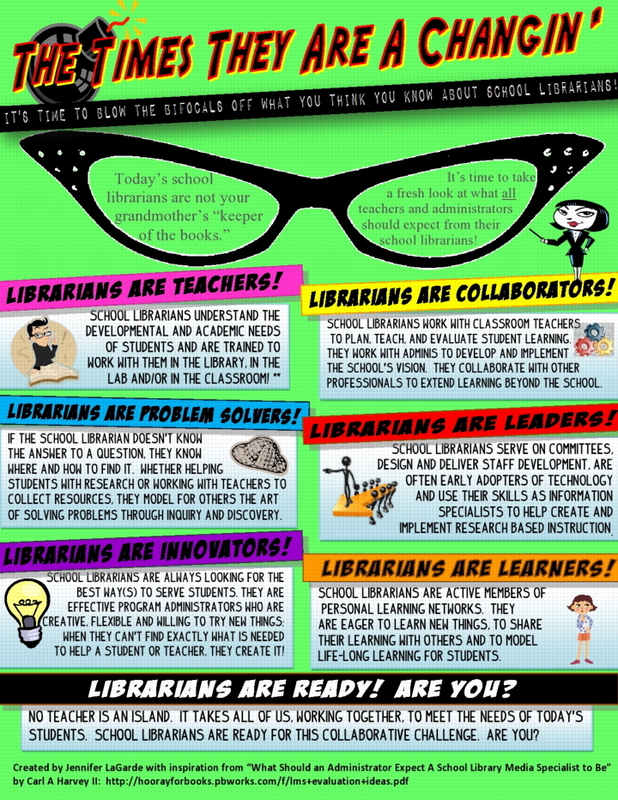 A principal with such a librarian will believe librarians contribute little to overall student success. When faced with the need to make cuts, the decision is easy. Worse, if and when that principal becomes a superintendent of schools, that stereotype will impact all the librarians in the district no matter how great they are. On the other hand, there are many librarians out there who are role models for what school librarians add to the vitality of the school community. They are the ones who are showing teachers and students the newest websites and apps for teaching and learning (see those listed on the AASL website (http://www.ala.org/aasl/standards-guidelines/best-apps and http://www.ala.org/aasl/standards-guidelines/best-apps). They model inquiry-based learning, engaging their students in the process of discovery and creating new knowledge. The outstanding ones are bloggers, tweeters, and creators of chats. Their websites are dynamic, showcasing how the library program is integral and vital, using a broad assortment of resources to do so. Teachers, students, administrators, parents, and even the community look to them for help. Their enthusiasm is contagious. This is the role model—or new stereotype—we want to be seen everywhere. 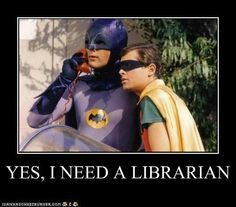 What are your strengths as a librarian? How can you showcase this so more people are aware of the great things you are doing with students and teachers and for the community? Are you willing to become a role model? ‹ Spring Cleaning – Time for a Change?